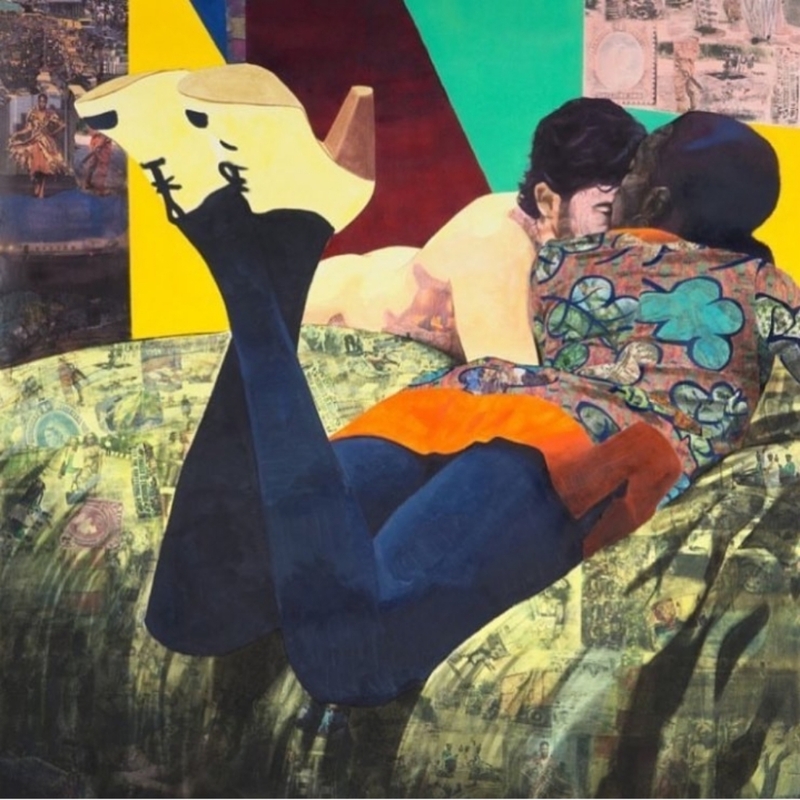 Njideka Akunyili Crosby, “Ike Ya,” 2016 (detail). Acrylic, transfers, colored pencil, and charcoal on paper. 84 x 99 in. (213.4 x 251.5 cm). The grant is paid out over five years. She explores how migration shapes identity and what it means to exists in hybrid spaces, where different people, cultures and influences collide. 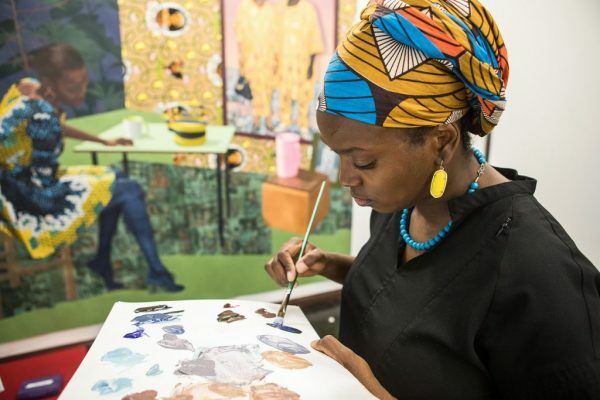 When she is not making art, or suffers creative block, she turns to literature, especially to the works of Junot Díaz, Chimamanda Ngozi Adichie, Binyavanga Wainaina and Chinua Achebe. “Reading writers who are exploring the same theme as me and hope something will spark an idea. Someone I think about a lot is the Nigerian writer Chinua Achebe. I look for him in terms of content but also in terms of how he does it. He wrote about a space he knew–he grew up in Nigeria from when it was colonized to when it gained independence. I look to him for that with the urgency to tell stories from marginalized spaces. But another reason I look at him is to figure out how he does this successfully,” she said in an interview. 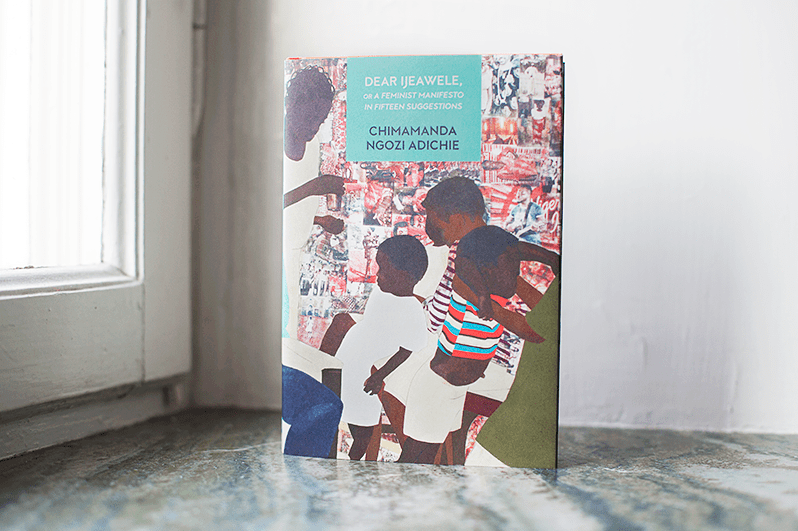 One of her works, “5 Umezbi Street, New Haven, Enugu (2012)” is the UK Book cover of Chimamanda Ngozi Adichie’s non-fiction; DEAR IJAWELE. Note that Chimamanda, also received the Genuis Grant in 2008. Dora Akunyili once thrust a rosary into my hand. A slate-colored rosary with a shiny crucifix. I have kept it since, part comforting superstition and part tribute to a woman who was one of the best public servants Nigeria has ever had. As the director-general of NAFDAC, the food and drug regulating agency, she fought the importers of fake medicines and the makers of unsafe foods, unnerving business interests that had long been complacent in their corruption. They went after her, and she survived assassination attempts; a bullet once narrowly missed her head, striking her ichafu. She was radical because she had integrity in a system that was unfamiliar with integrity. A businessman once told me that Dora Akunyili was the only public official he respected. “She smiles with you but she will insist that you do the right thing,” he said. She was kind and vigorous, and when she spoke, she widened eyes as though to better convey the force of her conviction. Nigeria lost one of its best when she died three years ago of cancer. 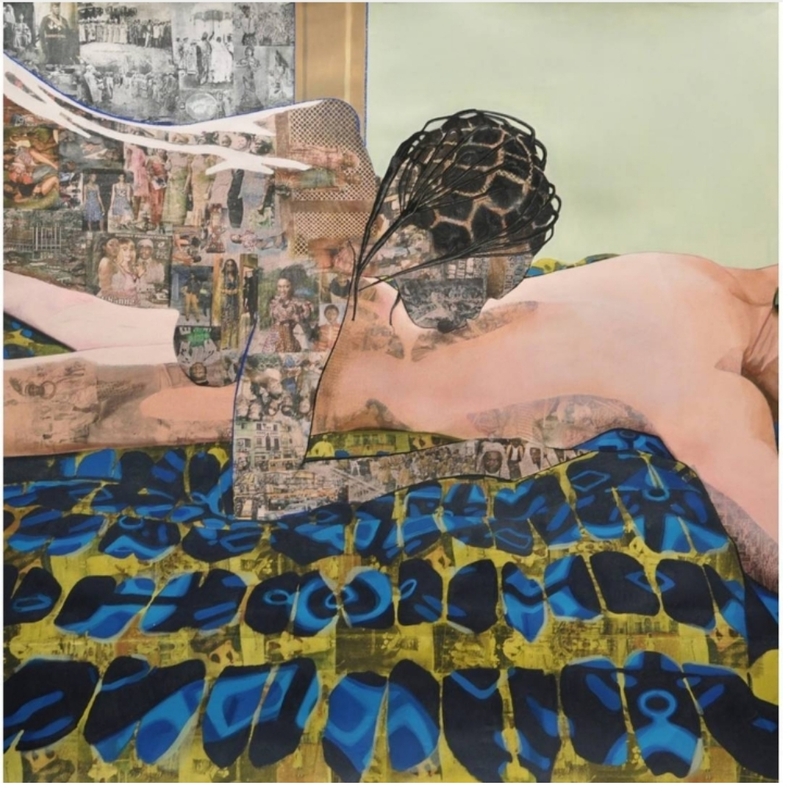 It’s a little too predictable to say that her spirit lives on in her daughter, the artist Njideka Akunyili Crosby. Perhaps it does. 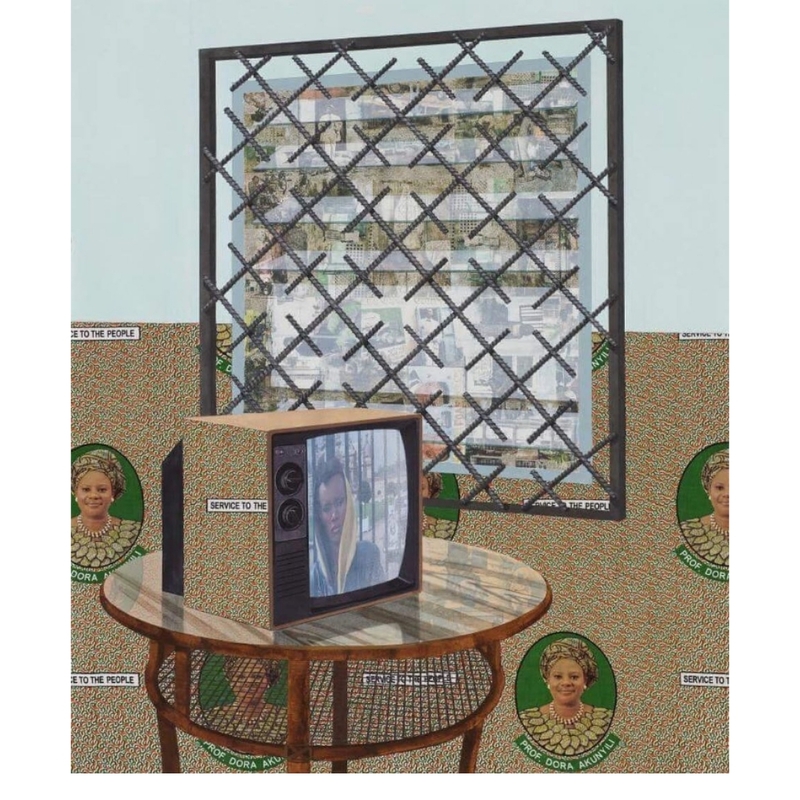 But Akunyili Crosby has claimed an aesthetic that is wholly hers. 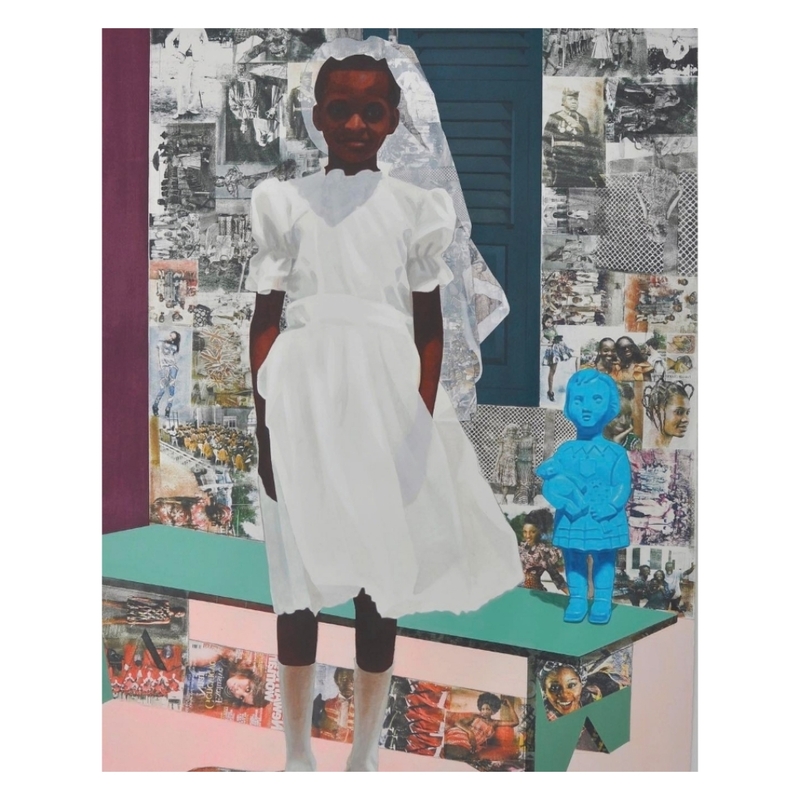 The first time I saw her work, I was instantly taken with its tone, which seemed to me emotionally true, both nostalgic and celebratory, both old and new. Here was multimedia as both cultural commentary and cultural memory. There was the bold romance of her metafiction – the inserting of herself and her husband in scenes of Igbo life, ubiquitous celebratory images, lovely and loving, and insistent. We will be seen. We are here. She is wonderfully subversive, even if she doesn’t mean to be, because she is asserting the the multiplicity of selves often denied artists whose work is steeped in place – that she is a product of a particular Igbo world, and that she shares her life with a man far removed from that world, and that both of these realities co-exist and are normal. 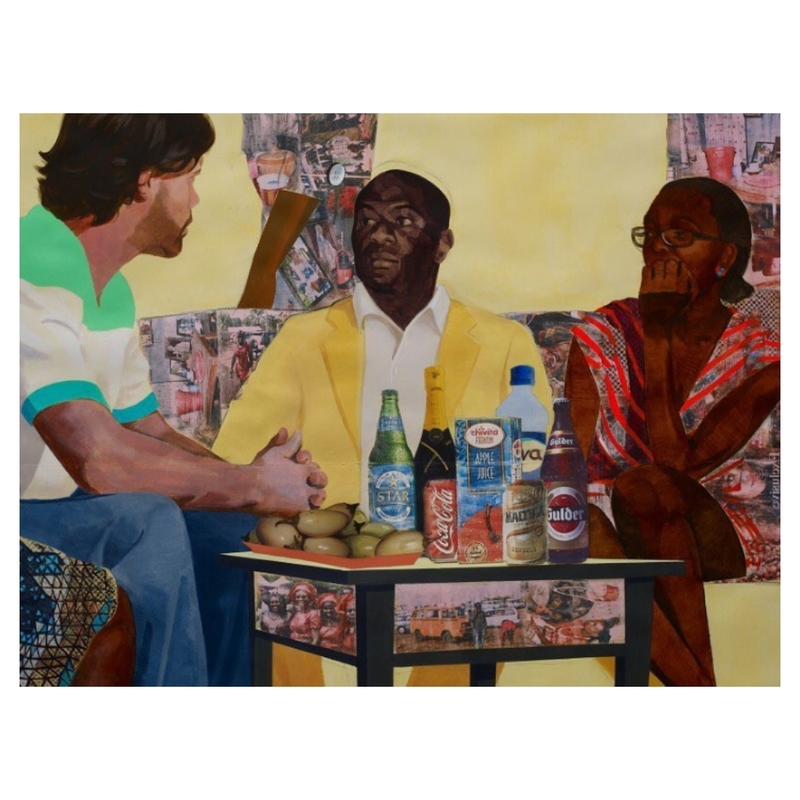 In ‘5 Umezebi Street, New Haven, Enugu, 2012,’ she uses mundane details as entry into the sacred act of preserving memory. 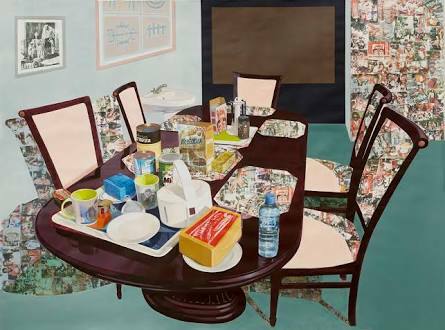 The dining table at the back with its milo and flask and Nido, breakfast accoutrements on permanent display. The bathroom slippers. The guests drinking coke. The dutiful but sharp-tongued-behind-the-scenes househelp or cousin from the village with her isi owu. The child’s protruding navel. The contentment. A slice of middle-class Igbo life – before the proliferation of mobile phones. It filled me with nostalgia, a sweetly-sad nostalgia that brought into focus childhood memories of faded Sunday afternoons, slow and somnolent, lunch of rice and stew after church, visitors dropping by, my mother’s George wrapper hanging outside in the backyard, and the feeling that even the butterflies had paused. The week’s dissembling had been laid to rest, leaving only a fleeting human purity. 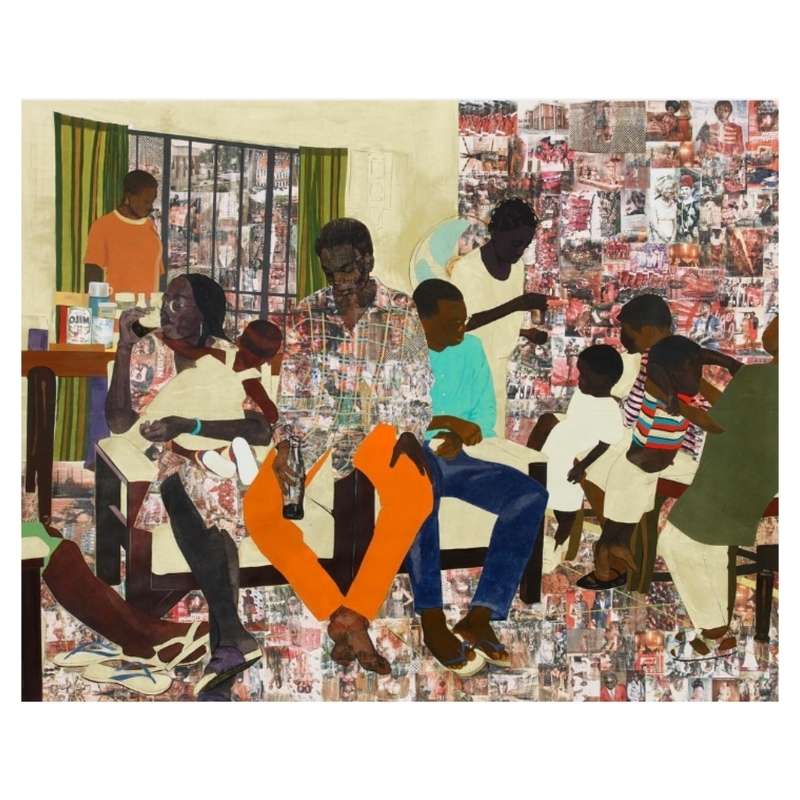 Akunyili-Crosby’s work is quite simply beautiful. Its visual energy is like highlife music, filled with a slow wisdom. Its layering is a statement against static, against mere surfaces. It breathes. I like to think of DEAR IJEAWELE as universal and rooted in its Igbo provenance, as a wide look from an intimate standpoint, and as ultimately hopeful. I’m so pleased that the British cover is this beautiful piece of art, which could very well be described in similar words. 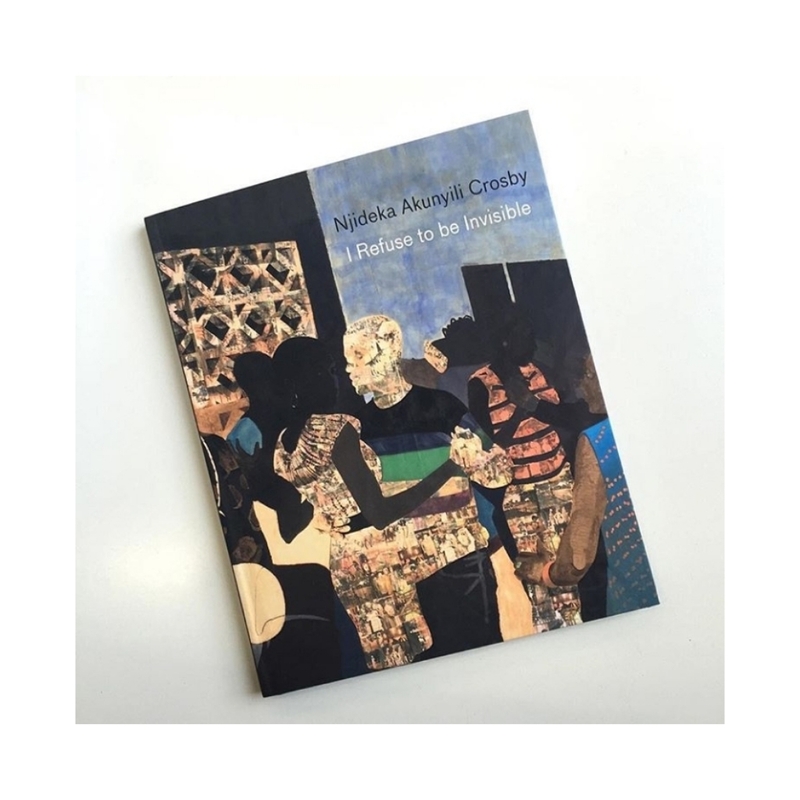 In 2016, Njideka Akunyili Crosby published a book, I REFUSE TO BE INVISIBLE. 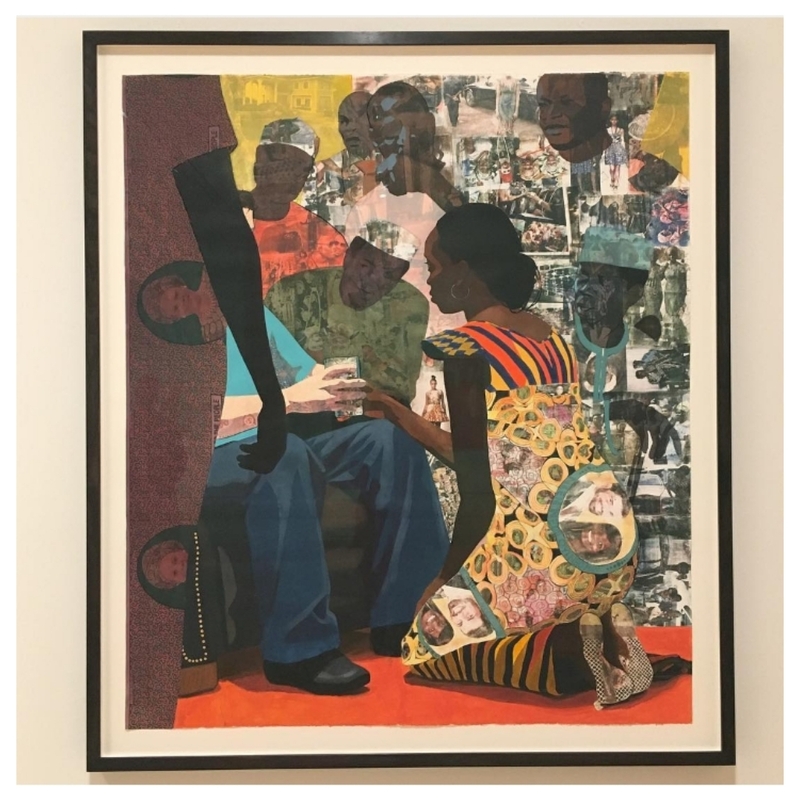 Contents include an introductory essay by exhibition curator Cheryl Brutvan – Norton Director of Curatorial Affairs & Curator of Contemporary Art, Taiye Selasi’s “Bye-Bye, Babar (Or: What Is An Afropolitan? )”, artist interview, artist’s chronology, and select bibliography and exhibition history. With full color reproductions of all works in the exhibition. It was published by Norton Museum of Art.